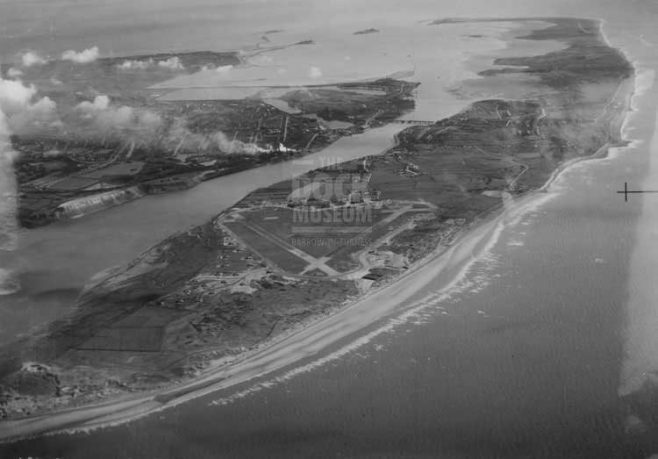 Aerial black and white photograph of Walney Channel and Walney Island taken in 1944. J.P.Ridgers (donor’s father) flew Boulton Paul Defiants [aircraft] out of Walney airstrip, training airgunners for Bomber Command. He took this photo in 1944.